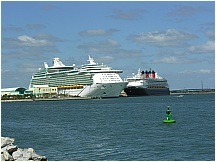 34 Free photos of Port Canaveral, Florida. 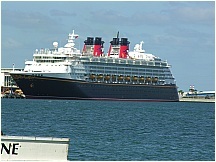 Port Canaveral is the second busiest cruise port in the world with 4.6 million cruise passengers passing through during 2004. 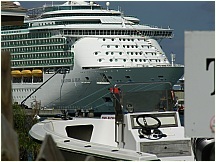 Carnival, Disney, Royal Caribbean International, Holland America, and Norwegian Cruise Line are some of the cruise lines which regularly dock at one of the six cruise terminals. 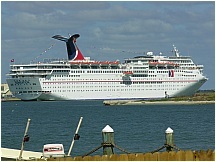 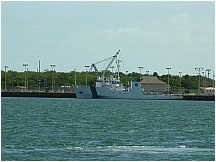 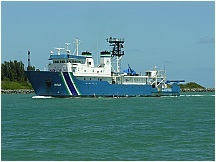 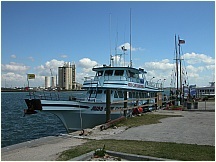 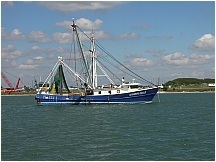 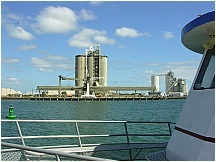 The port also bears operations for the casino ships of SunCruz Casinos and Sterling Casinos. 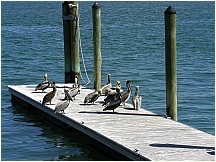 See all the free photos, including zoo and aquarium photos by going to the Photo Catalog. 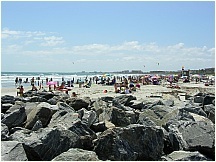 Click on any picture for a FREE larger version. 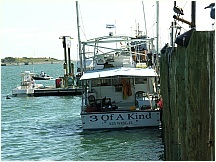 Read the licensing rules (REVISED) for your needs. 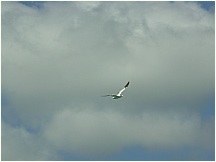 There are hundreds of high quality free photos: use the Google/site search engine. 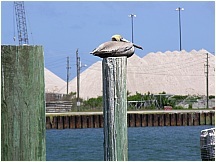 See our digital photography tips : DOs and Don'ts; Choosing a Camera and Accessories , Downloading Photos, and Editing Photos. 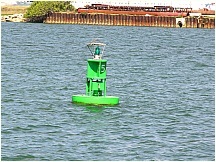 Visit TechnologySite.org for free photos and lists of inventions and technology and learn Climate Change Facts to see for yourself if Florida is at risk from global warming. 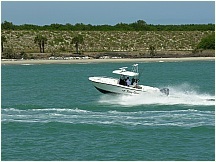 Recreational fishermen with portable generator. 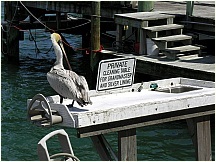 Pelican taking note of sign reserving the fish cleaning table for the GRANDMASTER. 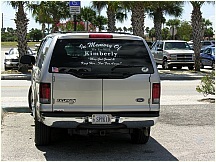 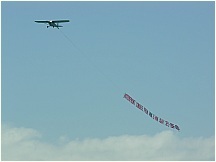 A favorite sign: "In memory of my ex-wife Kimberly - May God grant and keep her... far, far away." 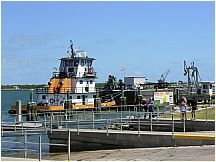 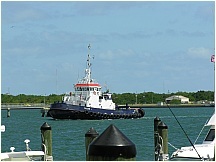 Tug INDIAN RIVER, owned by Coastal, with barge. 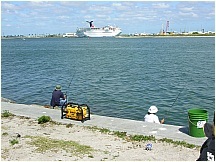 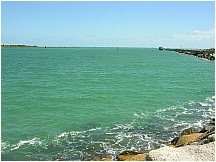 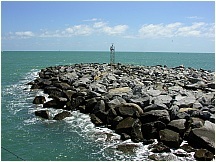 Port Canaveral looking towards the ocean along the jetty. 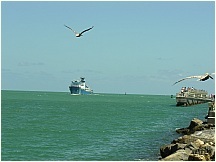 Port Canaveral looking towards the harbor along the jetty. 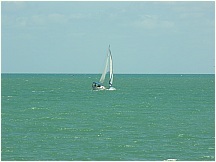 Sailboat exiting Port Canaveral into the open Atlantic Ocean. 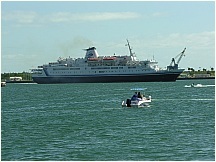 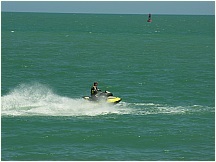 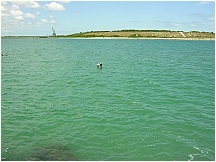 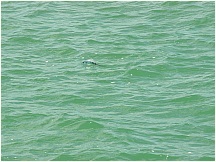 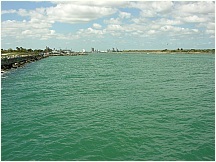 Jetski exiting Port Canaveral into the open Atlantic Ocean, judt past the jetty. 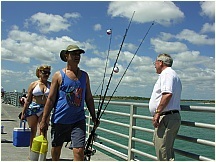 Recreational fishers about to use the fishing pier at the Port under the watchful eye of "Captain Inspector". 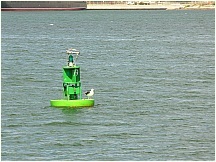 Pelican guarding the harbor entrance.